General Peng is the greatest general of the 20th century, you have never heard of, he commanded the Chinese Army in Korea. Peng signed the armistice agreement in July 1953 for China which ended the war. In 1954 he was appointed as the minster of defence, in this job he tried to modernise the army he knew that to do so China would need the help of the Soviet Union, This was at a time when Mao was beginning to become more distrustful of the Soviet Union. Peng was dismissed from office and placed under house arrest for three years. Mao position weakened temporary in 1962 due to the disastrous failure of his ‘Great Leap Forward’ program. Peng was restored to a minor official role in South West China in promoting industry. 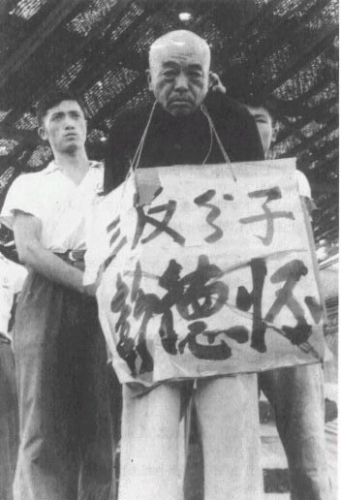 By 1966 Mao had regained total power and he launched his cultural revolution, Peng was one of the earliest victims he was imprisoned and was tortured for ten hours a day, his torturers when relived every two hours by another group. He would be strapped to the floor of the cell, forced to soil himself. At first he refused to confess to crimes of betraying his country but every man has his breaking point and he was forced to confess his crimes at a series of mass meetings. He was sentenced to life imprisonment. The punishment he had suffered broke his health, Mao refused him proper medical care. His last wish was to see the trees and sun outside his cell, the windows had been covered with newspaper, even this last wish of one of China’s greatest general was denied. His guards were ordered to record his moment of his slow and painful death for Mao, it was 3.35PM, November 29th 1974.